Joe Gimlet (Lee Tracy) is a middle-aged man who runs a store with his wife Mary (Mae Clarke). Times are tough and they’re barely eking out a living when one day, their old friend Ted Wright (Otto Kruger) comes into the shop and they agree to get together. Ted has been faring a bit better than Joe and Mary; he went on to become a very successful bank president and is married to Elvina (Peggy Shannon), another old friend of theirs. They agree to get together and spend an evening together. Growing up, Ted was infatuated with Mary and Joe is still kicking himself for turning down a business proposition from Elvina’s father when he was younger that would have made him a millionaire. Despite everything he has, Ted admits to being jealous of everything Joe and Mary have and offers Joe the chance to get in on an investment. Joe really wants to take him up on the investment opportunity, but it would wipe out their savings and Mary doesn’t think it’s a good idea. She and Joe get into a big argument about it that night and Joe gets very drunk, leaves the house, and gets hit by a car. Joe is taken to a hospital where he’s put under ether and dreams that he’s a young man once again. Now he has a chance to undo all the mistakes he made so many years ago. Not only does he take Elvina’s father up on that business offer, he marries her and uses his knowledge of the future to make some very wise investments and ends up being offered a very important consultant position with the government regarding World War I. Mary, on the other hand, married Ted and the two of them live a modest life running a shop together. But there’s the age-old question of whether or not money truly makes a person happier. Movies about a person having a fantasy about either going back in time, into the future are hardly, or otherwise experiencing an alternate reality are hardly anything unique, but Turn Back the Clock somehow manages to not feel clichéd. 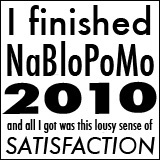 I can’t quite put my finger on what prevents it from feeling trite, but it manages to pull it off. It may be because it does have a touch of sentimentality to it, but not in a heavy-handed way. It’s a slow build to Joe’s epiphany that maybe wealth and power isn’t quite what it’s cracked up to be and never heads into being overly dramatic. The cast is great, it’s a particularly great Lee Tracy vehicle. It’s certainly interesting to see them try to make young Mae Clarke into a drab middle-aged woman. And hey, it’s even got a special guest appearance by the Three Stooges as an added bonus. All in all, I’d say it’s a movie that deserves to be a bit more well-known than it currently seems to be. Captain Fred Allison (Leslie Howard) has been stuck in a German P.O.W. camp for two years. Not only is he stuck in terrible conditions, he misses his wife Monica (Margaret Lindsay) dearly and although it’s been a long time since he last got a letter from her, the hope of hearing from her is the big thing that keeps him going every day. He also tries to make life better for himself and his fellow prisoners and even makes a deal with the new commandant Carl Ehrlich (Paul Lukas) to personally be responsible for the behavior of the other prisoners if they are granted more privileges. One day, Jack Digby (Douglas Fairbanks Jr.), Fred’s best friend, is brought to the camp with a group of new prisoners. Fred is thrilled to see his old friend, plus he knows Jack had seen Monica just a few months ago and he’s eager to know how she is. But when Fred talks to him, Jack seems unusually distant and uncomfortable, and eager to escape, even though Fred tries to talk him out of it. What Fred doesn’t realize is that Jack has fallen in love with Monica and feels terribly guilty for it. He doesn’t find out the truth until Jack makes an escape attempt and he sees a letter to Jack in Monica’s handwriting. The same night Jack tries to escape, another soldier rapes and murders a woman and the German officers think Jack is the guilty party, so they set out to bring him back and execute him. After he’s brought back to the camp, Jack accuses Fred of doing this to him to out of anger about his affair with Monica. Just as Jack is about to face the firing squad, Fred finds a letter of confession from the real murderer and has to decide whether or not to tell the truth. Captured! is a pretty good little movie that deserves to be a little more widely known. I don’t think I would have heard of it if it hadn’t been on today’s Summer Under the Stars lineup. Like many other pre-codes, it’s only a little over an hour long, but manages to fit a lot in during that time thanks to good pacing and generally effective storytelling. 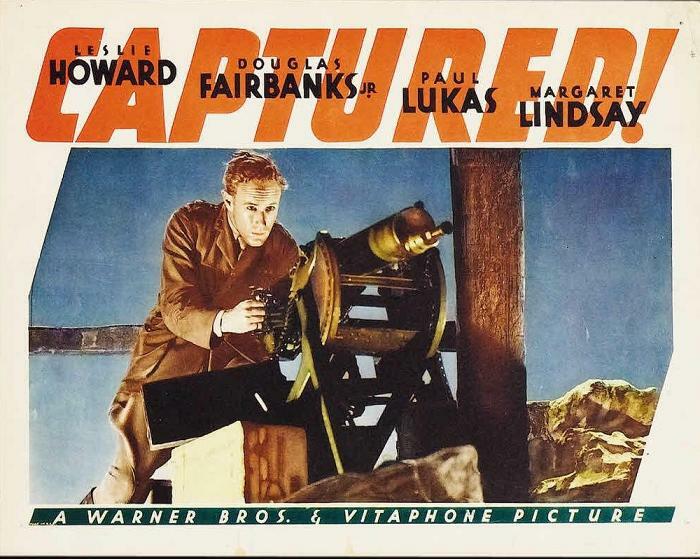 It’s got a great cast with very good performances from Douglas Fairbanks Jr., Leslie Howard, and Paul Lukas. If you’re a fan of either one of them, Captured! is definitely worth your time. Perhaps a little forced and overly dramatic near the end, but still, a pretty enjoyable movie and I’m glad I decided to take a chance on it today. 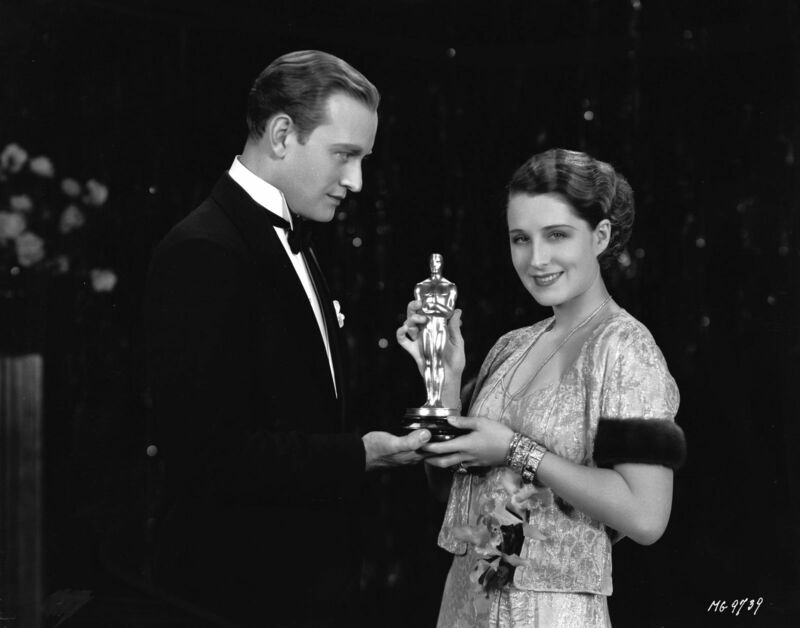 Posted in 1930s, Blogging Under the Stars, Dramas, Pre-Codes and tagged Douglas Fairbanks Jr., Leslie Howard, Paul Lukas on August 16, 2015 by Angela. When Groucho, Harpo, Chico, and Zeppo are found as stowaways on a ship, they have to avoid being captured by running all over the place and trying to hide as best they can, whether it’s blending in with a puppet show, posing as musicians, or trying to pose as the ship’s barber. When Groucho tries hiding in a stateroom, it turns out the room is occupied by Lucille (Thelma Todd) and her husband gangster Alky Briggs (Harry Woods). Lucille is attracted to him and when Zeppo ends up coming in, he and Groucho end up being hired to be Alky’s bodyguards. 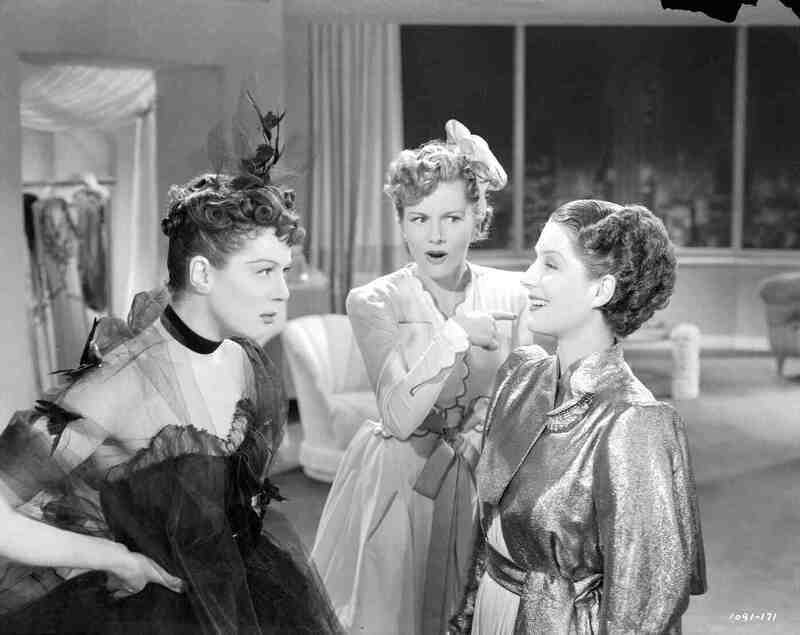 Meanwhile, Zeppo has met Mary Helton (Ruth Hall), daughter of Joe Helton (Rockliffe Fellowes) and rival to Alky. When Chico and Harpo find themselves in Helton’s stateroom while on the run, they end up becoming bodyguards for him. A big confrontation is about to happen between the two gangsters and their feud continues after the boat docks, putting Mary in danger and leaving it up to Groucho, Harpo, Chico, and Zeppo to save her. Monkey Business is pure anarchy. 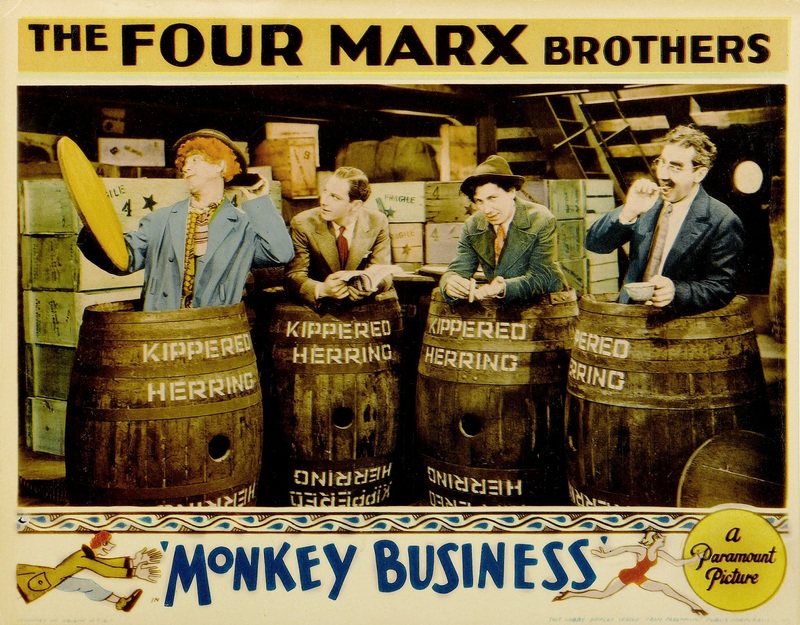 Although the plots to all Marx Brothers movies are pretty thin and basically only exist to serve as a catalyst to mayhem, Monkey Business seems to be the one where the plot matters the least — but that’s not a bad thing in this case. The main plot of the movie doesn’t really kick in until quite a ways into the movie and the everything leading up to that is just an excuse to have the Marxes running around the ship, wreaking havoc wherever they go. With lesser comedians, this movie would be a complete disaster, but the Marx Brothers were completely on top of their game and that’s what makes Monkey Business a true comedy classic. The physical comedy is absolutely brilliant and the jokes are pure gold. The Maurice Chevalier impersonation scene will never stop being hilarious to me. If you’ve never seen a Marx Brothers movie, Monkey Business is definitely not a bad place to start. 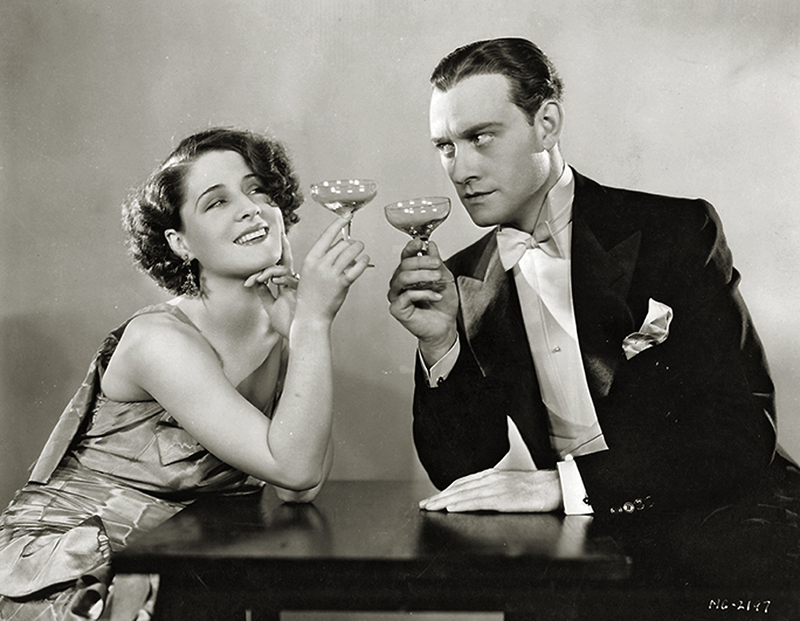 Lois Ames (Kay Francis) is the very hard-working editor of “400 Magazine.” Although she is married to Fred (Kenneth Thomson), their marriage is very open and Fred parties all the time while Lois is working and carries on lots of affairs. Her job involves a lot of long hours, and when her secretary gets fed up with working late, she quits and leaves Lois in need of a new secretary ASAP! As luck would have it, Tom Sheridan happened to be in her office at the time to demonstrate a rowing machine, but since he’s up for a new challenge. Tom likes his new job and working for Lois. He and Lois have also become very romantically interested in each other. 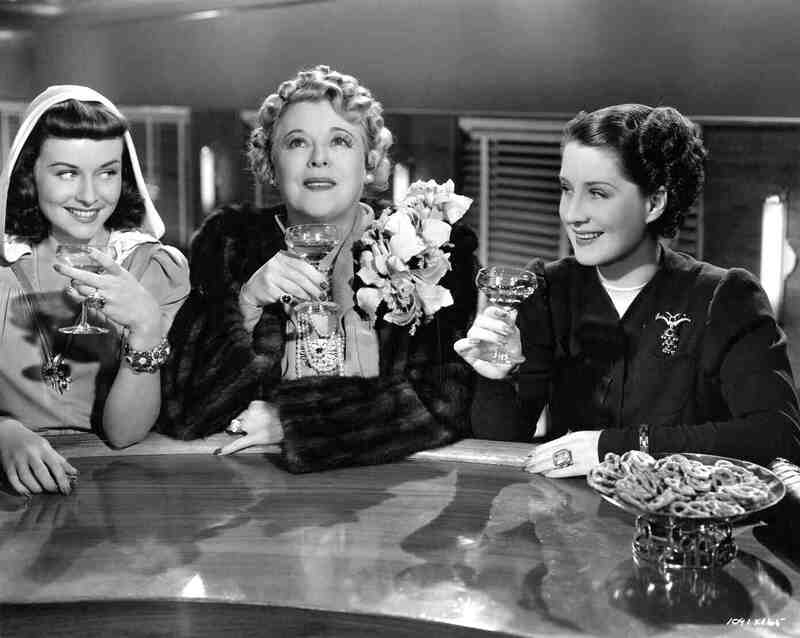 But Tom is engaged to Ruth (Una Merkel) and when she begins to suspect there’s something going on between him and Lois, she’s not nearly as tolerant of it as Lois is with her husband’s adultery. Although Tom loves Lois, he knows she’s married and thinks their affair will ultimately go nowhere, so he decides to quit his job to be with Ruth. With Tom leaving, Lois tries to refocus her attentions on her marriage, but much to her delight, Fred announces he wants a divorce instead. Now Lois has one last chance to win Tom over. Man Wanted is nothing Earth shattering, but it’s a darn fun movie. If you’re interested in the pre-code era, you’ll love Man Wanted because it is extremely pre-code; the shamelessly open adultery makes it an essential pre-code. 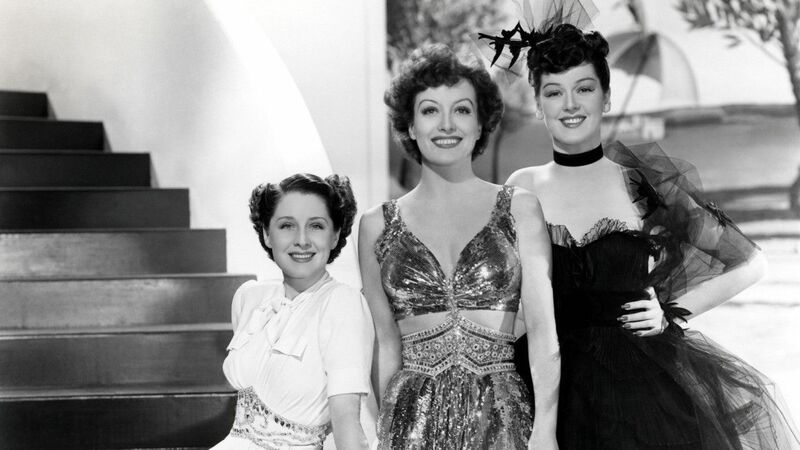 The cast is fantastic and I would expect nothing less from Kay Francis, Una Merkel, and David Manners. It’s very fast paced, clocking in at slightly over an hour, with a smart script and great direction from William Dieterle. I absolutely loved the sets, too; how amazing was Lois’s office? It’s terrific all around!